PURUS® AW Hydraulic MV Oils are premium-quality anti-wear hydraulic oils with outstanding cold temperature flow properties. These products are formulated for use in hydraulic systems and pumps, operating under widely varying conditions and temperatures. 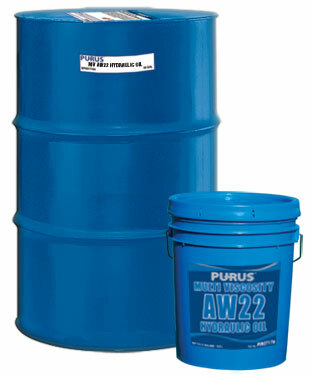 PURUS® AW Hydraulic MV Oils are characterized by outstanding rust protection, low deposit formation, rapid demulsibility and release of entrained air, oxidation resistance, low pour points and excellent anti-foam properties. They also contain an effective anti-wear agent that helps reduce wear in high-speed, high-pressure vane and gear pumps.